Give the joy of great flavors to the people you love. 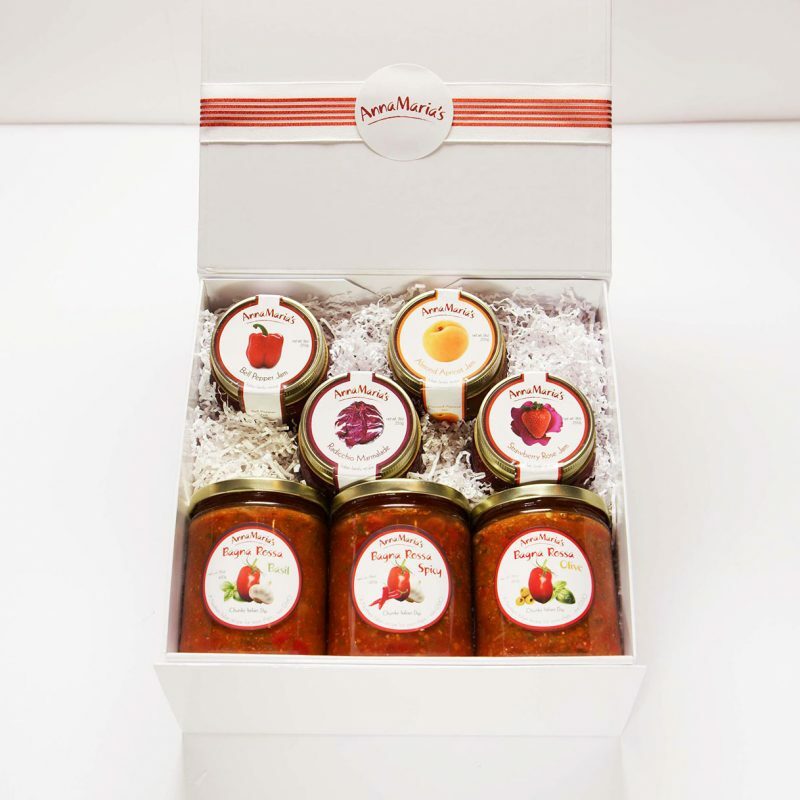 Enjoy all of our Italian jams and bagnas packed in a keepsake box. Italian Jams (9oz each): Almond Apricot Jam, Bell Pepper Jam, Radicchio Marmalade and Strawberry Rose Jam. Bagnas Chunky Italian Dip (16oz each): Bagna Rossa Basil, Bagna Rossa Olive, and Bagna Rossa Spicy. The perfect sample set – Try each one of AnnaMaria’s Jam flavors in 9 oz jars.